For other uses, see Operation Quicksilver (disambiguation). The D-Day naval deceptions made up one part of Operation Bodyguard. Credited with contributing to the strategic success of D-Day landings, as part of the overall Bodyguard plan. Juan Pujol García, known by the British code name Garbo and the German code name Arabel, was a double agent loyal to the Allies who played a crucial role in the deception by supplying Germany with detailed information from a network of non-existent sub-agents supporting the idea that the main invasion was to be in the Pas-de-Calais. 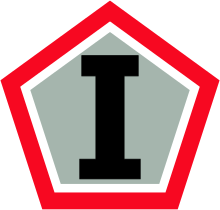 Quicksilver was a World War II deception operation conducted by the Allied Nations. It formed part of Operation Bodyguard, a broad strategic military deception intended to support the Allied invasion of German-occupied France in July 1944. Bodyguard was designed to confuse the Axis high command as to Allied intentions during the lead-up to the invasion. Operation Fortitude South was a sub-plan which called for the fabrication of a non-existent field army in South East England, with the aim of threatening an invasion in the Pas de Calais region of France. Fortitude had evolved from plans submitted by Noel Wild, head of Ops (B), and John Bevan, from the London Controlling Section in late 1943. Early revisions in January 1944 suggested a fictional build up of troops in southern England with the hope of drawing German attention to the Calais region. Colonel David Strangeways, head of Montgomery's R Force deception staff, was unimpressed with the approach. He had worked under Dudley Clarke in Cairo during the early war. There he had learned Clarke's maxim that deception relied on getting the enemy to do something, not just think something. Strangeways was widely critical of the original plan and eventually re-wrote the Fortitude deception with a focus on creating a realistic threat to the Calais region. Quicksilver was Strangeways implementation plan for Fortitude South, it consisted of six sections focused on the creation of the First United States Army Group (FUSAG). The Allied story for FUSAG was that the army group, based in south-east England, would invade the Pas de Calais region several weeks after a smaller diversionary landing in Normandy. The order of battle for the army was intended to represent, to the German viewpoint, the bulk of Allied forces in England. Quicksilver was the code name for a number of physical deceptions to support the fabrication of FUSAG, including wireless deception, troop movements and bombing campaigns. Quicksilver I was the basic "story" for Fortitude: the First United States Army Group, based in the southeast of England, was to land in Pas-de-Calais after German reserves were committed to Normandy. Quicksilver II was the radio deception plan of Quicksilver, involving the apparent movement of units from their true locations to southeastern England. Quicksilver III was the display of dummy landing craft, including associated simulated wireless traffic and signing of roads and special areas. The landing craft, built from wood and canvas and nicknamed Bigbob's, suffered from being too light. Wind and rain flipped many over or ran them to ground. Quicksilver IV was the air plan for Quicksilver, including bombing of the Pas-de-Calais beach area and tactical railway bombing immediately before D-Day. Quicksilver V was increased activity around Dover (giving impression of extra tunneling, additional wireless stations), to suggest embarkation preparations. Quicksilver VI was night lighting to simulate activity at night where dummy landing craft were situated. The operation was carried out by means of false radio signals purporting to show units massing in southeastern England, together with false reports to German intelligence by double agents provided by the Double Cross System. Allowing one of the double agents to claim to have stolen documents describing the closely guarded invasion plans might have aroused suspicion. Instead, agents were allowed to report minutiae such as insignia on soldiers' uniforms and unit markings on vehicles. The observations in the south-central areas largely gave accurate information about the units located there: the actual invasion forces. Reports from southwest England indicated few troop sightings, when in reality many units were housed there. Reports from the southeast depicted the real and the notional Quicksilver forces. Any military planner would know that to mount a massive invasion of Europe from England, Allied units had to be staged around the country, with those that would land first nearest to the invasion point. German intelligence used the agent reports to construct an order of battle for the Allied forces that placed the center of gravity of the invasion force opposite Pas de Calais, the point on the French coast closest to England and therefore a likely invasion site. The deception was so effective that the Germans kept 15 reserve divisions near Calais even after the invasion had begun at Normandy, lest it prove to be a diversion from the "real" invasion at Calais. ^ Moore, Alan T. (2009-12-01). "The Principles Of Military Deception And Operation Quicksilver". Retrieved 2013-04-16. Holt, Thaddeus (2004). The Deceivers: Allied Military Deception in the Second World War. New York: Scribner. ISBN 0-7432-5042-7. Latimer, Jon (2001). Deception in War. New York: New York: Overlook Press. ISBN 978-1-58567-381-0. Levine, Joshua (2011). Operation Fortitude: The True Story of the Key Spy Operation of WWII That Saved D-Day. London: HarperCollins UK. ISBN 0-00-741324-6. Paul, Janeczko (2017). Double cross : deception techniques in war (First ed.). Somerville, Massachusetts. ISBN 9780763675714. OCLC 988027571. Deuve, Jean (2011). Histoire secrete des stratagemes de la Seconde Guerre mondiale. ISBN 978-83-7495-858-5. This page was last edited on 23 October 2017, at 16:05 (UTC).